Editor’s note: We welcome Jody Hartwig as our newest contributor. She is a senior account manager at Acumium, an ecommerce consulting and technology firm. She is also a longtime advisor to ecommerce merchants. For us, Hartwig will address the pros and cons of marketplaces and comparison shopping engines. As an Internet consultant, I’m often asked to discuss the merits of ecommerce comparison shopping engines and marketplaces as suitable marketing channels for online merchants. First, I make a basic distinction between comparison shopping engines — CSEs — and marketplaces. CSEs display products from various merchants for shoppers to compare, with each product linking back to the merchant’s own website for the transaction to take place. Marketplaces, on the other hand, allow merchants to sell products there, using the marketplace’s own ecommerce system. Two well-known marketplaces are Amazon and eBay. We addressed marketplaces recently, in “10 Ways to Evaluate Online Marketplaces.” For this article, then, I will focus on CSEs. The primary benefit of both marketplaces and CSEs is the potential to drive more business from these websites to yours. The ability to easily browse product categories, view similar items and compare them is the primary advantage CSEs offer consumers. Since this shopping increases over the holiday season, now is the time for online merchants to look at CSEs as a way to maximize fourth quarter revenues. Comparison shopping engines can help lead consumers to your website. CSEs tend to drive customers that are perhaps more loyal to price than to brand. Track these customers separately to measure whether their lifetime values are comparable to non-CSE customers. CSEs are a clear choice for merchants that can compete on price and optimize their websites and post-purchase marketing efforts to achieve repeat business. Many merchants prefer CSEs to marketplaces because CSEs drive traffic to the merchants’ websites, where those merchants can market to the consumers directly. 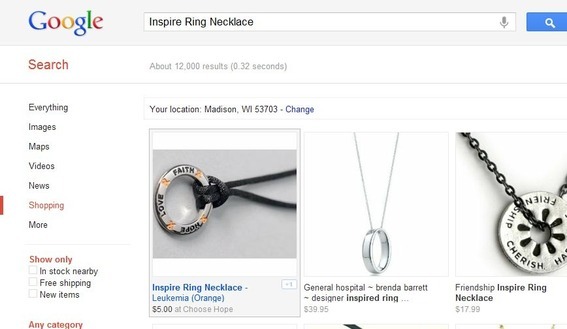 Marketplaces often restrict merchants on how they can market to visitors. Like any other online marketing channel, a merchant’s success with CSEs is measured by return on investment of both paid costs — i.e., ad spend and CSE management fees — and the indirect costs of the time and resources expended to manage it all. There are two types of CSEs: free or paid. Likely the most popular free CSE is Google Product Search. With no cost to list and easy-to-use merchant tools, Google Product Search and other free CSEs like Bing Shopping are popular choices with online merchants. In this case, the ROI is measured not on ad spend, but rather on the effort to set-up and maintain products within the free CSE. However, Google recently announced its intention to phase out free clicks on Google Product Search listings, and instead allow merchants to bid for product placement within the search results. Their new program is called “Google Shopping” and it intends to test over the summer and complete the cutover during the fall. This is a significant change for Google and online merchants, with much to see over the coming months. Online merchants new to CSEs should start with one or two free engines first. As with search engine marketing, it’s not enough to just be there. You must follow the CSE product data guidelines and optimize your data to rank highly within the CSE to maximize your opportunity. For example, Google Product Search downgrades products within its database that don’t display accurate “real time” pricing and availability. So it is important that merchants provide frequent datafeed updates — sometimes daily — to compete well. 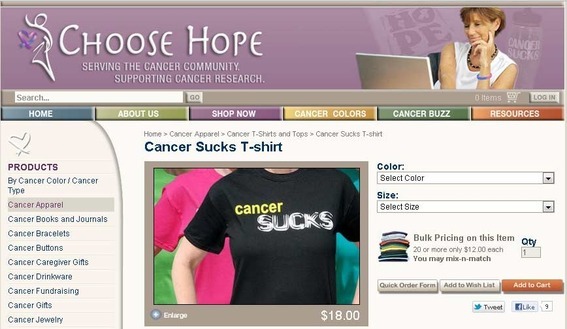 Choose Hope, the retailer of cancer awareness products, relies on a web developer to automate and manage its Google Product Search presence. “They stay on top of Google’s updates, which then helps our products to rank better in the results,” says Choose Hope’s Lundberg. Google preferentially lists products that have a “real-time” datafeed. Paid CSEs like NexTag and PriceGrabber warrant careful management, primarily because of cost. Review the CSE’s demographic information to see if its visitors match your own target customers. Also, CSEs that serve smaller, niche markets, typically drive a higher concentration of motivated buyers, albeit in a smaller volume. While marketing initiatives should be unique to each online merchant, there are some general steps to follow for CSE success. Select the appropriate CSE. If you are new to CSEs, or have a limited marketing budget, start with a free CSE like Google Product Search. Optimize your product datafeed. Follow the CSEs specific data guidelines to maximize sales. Determine whether you can be successful managing this in-house, or whether you should retain someone to do it for you. Manage your program continually, paying attention to CSE updates. Being successful with CSE marketing requires diligence. And CSEs, in an ongoing effort to provide high quality results to its consumer audience, change their data requirements from time to time. Optimize your website to convert traffic into sales. Make the most of every opportunity CSEs drive to your site. Continue to improve your site’s conversion rate and you will increase sales for CSE-referred customers, as well as your own direct site visitors.